The graceful Marriott Princeton Hotel & Conference Center at Forrestal sits on 25 wooded acres near Princeton, New Jersey. Featuring a full-service luxury spa—complete with an indoor pool and treatments designed to revive the senses—the hotel offers all of the amenities of a typical resort, including a health club, jogging trail, indoor tennis, recreational facilities, and 35,000 square feet of modern meeting space. The hotel’s location, between New York City and Philadelphia, is easily accessible to the Amtrak train service, making the trip and commute from New York, Newark, New Jersey, and Philadelphia seamless. Nestled in a 25-acre wooded retreat, the Spa's 15,000-square-foot facility at the Princeton Marriott at Forrestal is the ideal escape for relaxing and refreshing body, mind, and spirit. The spa has been created to address every facet of the body-mind connection, with services that include facials, massage, wraps, and salon treatments such as manicures, pedicures, and more. Day spa and overnight spa packages are available and designed to meet each guest’s needs. The quiet woods around the property provide serene trails for jogging, biking, or walking. 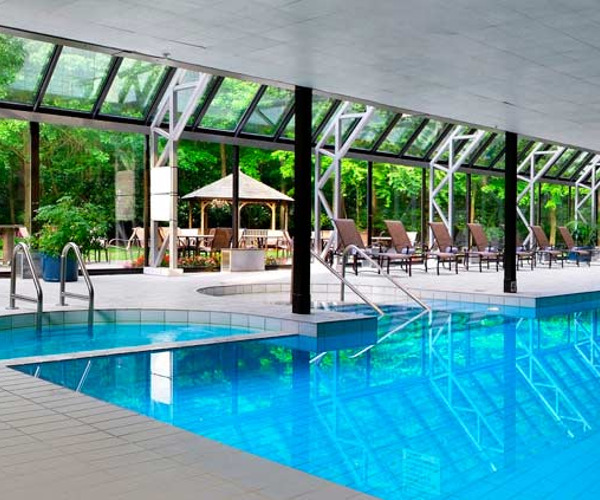 Guests can also enjoy the great outdoors while swimming indoors—the indoor lap pool and whirlpool are housed in a large glass atrium, overlooking panoramic views of the forest. The facility also contains saunas, steam rooms, and a 24-hour fitness center with cardiovascular equipment and free weights, where guests can work out independently or with a personal trainer. Additionally, there are four indoor tennis courts on site. The surrounding area is home to theme parks such as Six Flags and Sesame Place Amusement Park, as well as the Meadowlands Sports Complex, Princeton University, and several vineyards. There are 302 guest rooms and 11 suites, each fully equipped with work desks, coffee makers, and refrigerators. Accommodations boast 300-count linens, fluffy pillows, down comforters, and plush beds. The Marriott Princeton Hotel showcases three dining options. 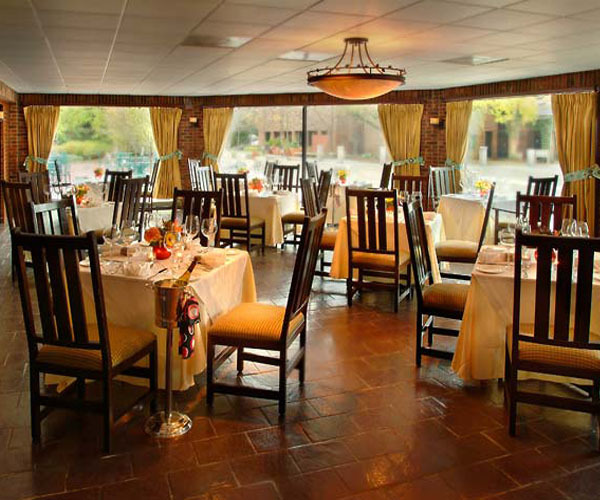 Fireside Grill, the more formal venue, serves American cuisine, emphasizing dishes rich in fresh, seasonal ingredients. In the more earthy and relaxed Homestate Café, the healthy menu focuses on locally grown Jersey produce. Barley’s Pub offers burgers, salads, sandwiches, and specialty drinks.